Gartner's Magic Quadrant for Analytics and Business Intelligence (BI) Platforms measures the maturity of vendors in terms of excellence and completeness of vision. In 2016, Gartner revised its criteria to reflect the growth of more sophisticated analytics that are easier for non-IT professionals to use. The revised criteria have resulted in some vendors moving backward, while others that are in tune with current market needs, such as Microsoft and Tableau, have moved ahead. Gartner made several assumptions regarding the growth of analytics and assumed that by 2020, natural languages, advanced analytics, and visualization will simplify data preparation and analysis. Gartner believes that artificial intelligence will play a major role and that voice-generated and natural-language-generated inquiries will become common. Thanks to a situation where internal and external data will be better organized, it will be possible for citizen data scientists to perform more detailed and comprehensive analyses. Effectively, the demand for citizen data scientists will greatly exceed the demand for professional data scientists. Gartner reports the BI and Analytics market grew by 10 percent in 2017 and expects annual growth of 8 percent through to 2021. The advanced analytics portion of this market is expected to grow at 17 percent per year. At the same time, Gartner notes that pure BI spend has been reducing as companies focus on advanced analytics. In the 2017 magic quadrant, Microsoft's Power BI product came out as the clear leader. It's available as an SaaS solution through the Azure cloud, an on-premise alternative called Power BI Report Server, and as a freestanding desktop version with limited functionality. When used together with Microsoft Flow and other products, it's possible to configure closed-loop models able to optimize decision making. Microsoft received the highest score for customer experience, with only Sisense achieving the same score. Other companies in the leaders' quadrant include Tableau, which scored similarly for execution but less for vision, and Qlik, which scored slightly lower in both categories. Notable vendors in the visionaries' category include SAP, Salesforce, and IBM, indicating the potential of their platforms — but also that their ability to implement solutions has not yet as advanced far enough. The sole vendor in the challengers' quadrant was Microstrategy, indicating an ability to execute well, despite their platform lacking completeness. Microsoft Power BI has continued to grow in stature and capabilities. Its cloud form is mainly used for mode 2 business analytics that are exploratory, experimental, and innovative. It's in this context that organizations, such as River Logic, use embedded Power BI as part of their cloud-based prescriptive analytics package. Microsoft Power BI allows users to set up dashboards to visualize data and create reports. It facilitates what-if scenarios and can be used for real-time queries and data analysis. It can connect to many different data sources and combine that data. Here are some of the features that help Microsoft achieve leadership. Microsoft offers Power BI on a per user basis, as well as a premium version designed for large scale deployments. In either form, the low monthly costs make Power BI one of cheapest analytical solutions on the market. The low licensing cost was a major reason why clients chose Microsoft Power BI. Because Microsoft Power BI is a SaaS solution, deployment is easy and customers like its flexibility and ease of use. The ability to use natural language for generating queries is a major factor contributing towards its popularity. Added to that is its high visual appeal. 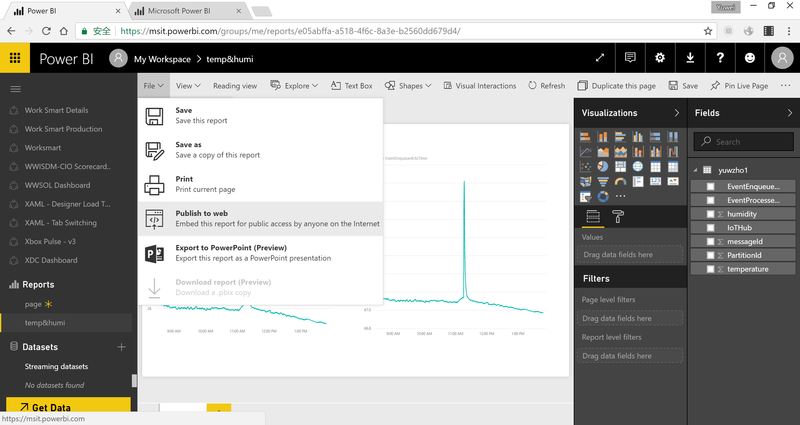 Microsoft is working hard to integrate Power BI with other Microsoft features to enhance its overall capability and ease-of-use. This includes the use of the Cortana virtual assistant, self-service data discovery using machine learning and AI, as well as future developments entailing the holographic capabilities of Microsoft HoloLens. Microsoft, with its cloud-based SaaS deployment offers class-leading business intelligence capabilities to the market. Power BI is attractive because of its reasonable cost and the ease with which it can be embedded in other applications. Cloud scalability means that data extraction and analysis is not limited by data processing and storage capabilities. Added to that, it’s easy to use and has very high levels of customer satisfaction. Microsoft well deserves its position as a leader in the 2017 Gartner Magic Quadrant for Business Intelligence and Analytics Platforms.